Introducing the Viral Brand Factory Series. Having the perfect fit means completely sealing the face so no dirt can get in when you’re getting roosted while racing to the first turn, but at the same time making them so comfortable you can forget you’re even wearing goggles. 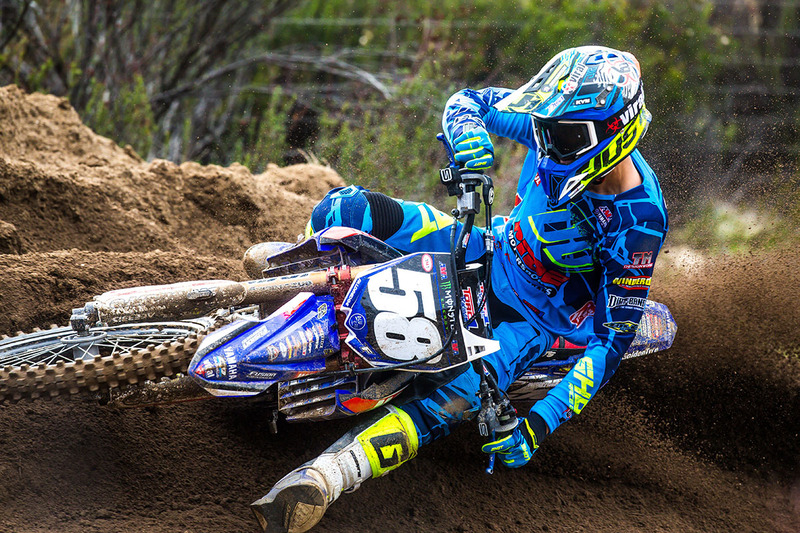 One of Viral’s first test riders in Australia – WA’s current MX2 champion David Birch said “I only noticed how good the fit was after a few laps when it got really rough but never put any pressure on my nose or affected my breathing!”. The perfect fit is achieved by using a TPU (thermoplastic polyurethane) flex frame that perfectly contours to any face, yet offers enough rigidity to avoid any lifting. And the 4-layer foam system which finishes the seal against your face and filters out dust/dirt with a polyurethane base foam in conjunction with a high-density neoprene fit foam, a large cell polyurethane foam and a final soft microfleece layer to wick away sweat. We are so confident in the fit of the goggle, that they also offer the Viral Brand Best Fit Challenge in Australia. You get 30 days to try them and if you don’t think they are the best fitting goggle you’ve ever had, you can send them back for a full refund.